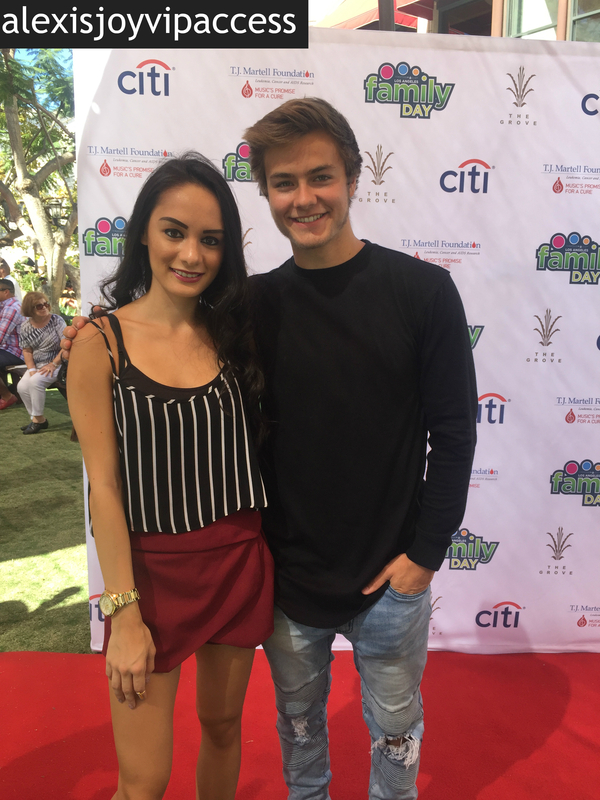 VIPAccessEXCLUSIVE: The Amazing Peyton Meyer Updated Interview With Alexisjoyvipaccess At The TJ Martell Foundation Family Day LA! The exceptional Disney Channel show, Girl Meets World is one show that has touched the hearts of many. From the friendships, the family moments, and all of the incredible adventures of Riley, Maya, Lucas, and more – we could spend hours glued to our TV screens watching marathons of the spectacular show. With season three of Girl Meets World, we’ll be able to see a lot more magic on our TV screens brought out by the immensely talented and wonderful cast-members. Actor Peyton Meyer, who stars as Lucas Friar on the show, has truly established himself as one profound and extraordinary actor. His talent is so awe-inspiring and he has brought his character to life in such a marvelous way that Lucas Friar will always go down as one unforgettable Disney Channel character. Peyton Meyer has brought his charm and acting gift to many more projects including “Dog With A Blog,” “Best Friends Whenever,” and many more. Every time Peyton Meyer joins a project, we know that it will always be a masterpiece as he does such a mesmerizing and marvelous job with everything that he works on. Peyton Meyer has already and continues to make an everlasting mark in the acting world. I, Alexisjoyvipaccess had the great pleasure of covering the TJ Martell Foundation Family Day LA event and had an excellent time catching up with and interviewing the spectacular Peyton Meyer again at the event. Peyton Meyer dished exclusively to Alexisjoyvipaccess all about what it was like for him to have hosted the awesome event, what his dream role is to portray (and we really, really would love to see it happen! ), what show he would like to guest-star on, and so much more only in our VIPAccessEXCLUSIVE updated interview. Peyton Meyer even took on a fun speed round and spilled on something fans may not know about him, something he can’t leave the house without, his favorite emoji and more – hear what he had to say in our VIPAccessEXCLUSIVE updated interview below. Thanks for another fun interview, Peyton – always a blast chatting with you! Check out my updated VIPAccessEXCLUSIVE interview with the remarkable Peyton Meyer at the 2016 TJ Martell Foundation Family Day LA event below! Previous VIPAccessEXCLUSIVE: Singing Sensation AJ Interview With Alexisjoyvipaccess At His “Tongue” Music Video Release Party PLUS Watch His “Tongue” Virtual Reality Music Video Here! Next Article: Bebe Rexha Set To Host The MTV EMAs And One Republic And Kings Of Leon Will Be Taking Over The Ahoy Rotterdam Stage!